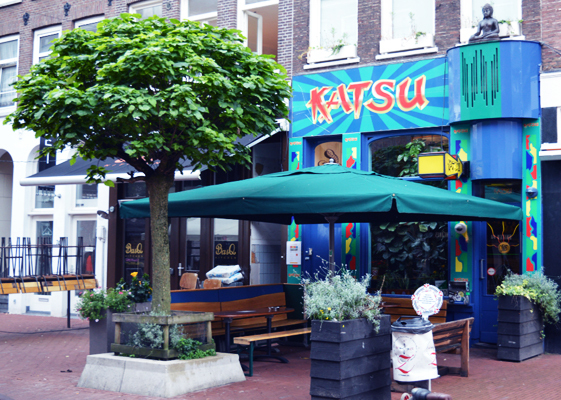 Situated next to the Albert Cyup market, this straight to the point coffeeshop is a hit with tourists and Amsterdam natives alike, usually only discovered by word of mouth. Katsu coffeeshop really goes back-to-basics and it’s the simplicity why it is much loved. The vibe is very relaxed and cozy, with tables where you can relax with a smoke, a newspaper and one of their delicious herbal teas, fruit juices, Italian coffees, cappuccinos or lattes. The walls are filled with artwork, plants dotted around the room and an extensive menu of national and international smokes to satisfy everybody’s tastes. Perfect for if you’re seeking a small haven to watch live games on match days or chill with a chat and some music at other times.